Have you ever placed an order with a company and then discovered a monthly charge was being made to your credit card? Or do you have such a long list of charges on your statement that you might not even notice you've been a victim of "negative option marketing?" With this type of marketing, you accept a merchant's offer for a free product or service and then your billing information is used to enroll you in a subscription or membership offer you never signed up for. Why do companies use this sleazy tactic? Because it's the most effective way to bring new customers on board. According to testimony by Michigan Attorney General Mike Cox, fewer than 15% of consumers will sign up for a service if they get a solicitation, but that number jumps to 80% if they're recruited using negative option marketing. A post on Pissed Consumer that tells consumers how to cancel their Easy Saver "membership" got 12,390 hits, so there may be many, many more who got hit with this negative option marketing. A consumer who posts under the name Lleg wrote, "I canceled as soon as I saw some bogus $1.95 charge coming from my checking account. Hopefully this will be the last I hear from them..."
Another Pissed Consumer poster named Leaner wrote in February, "I recently questioned my husband about a charge on our acct. He thought it was mine and I thought it was his. After doing research I found out through EasySaver/ProFlowers that this was something that we "supposedly" went through 3 steps to sign up for when purchasing flowers in order to get 15% off the next purchase. They agreed to refund the 6 months of charges that I'd first found. Several days later I decided to check past statements and found them dating back to Feb '08! 26 months worth! They are refunding but only 12 months immediately and the rest in checks through the mail." Posts like this clearly show why you need to question any unknown charge on your statement, even if it's less than $2. As Lleg found out, he could have been socked with a $14.95 per month charge, just as Leaner had, if he hadn't canceled the service immediately. To find out for myself just what type of warnings participating merchants offered to their customers about these monthly charge services, I started to place an order on ProFlowers. 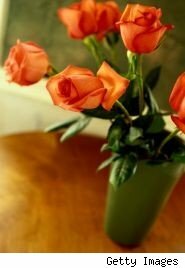 After choosing my flowers and starting my order, I was offered free shipping on my next order. All that it said on the page was "This order qualifies for a free shipping rebate." I had to click on that statement to find out that to get this free shipping offer, I would have to join FreeShipping.com. After scouring the sign-up page, I found, in small print, text that told me that these "Insiders Club" benefits would be billed at the price of $11.97 per month. Of course, I didn't sign up. Then I continued my order until I got to the point where they asked for a credit card. At the bottom of that page was a membership sign-up for ProFlowers, which, based on consumers' complaints, apparently turns into a membership in EasySaver. I didn't want to give this Web site my credit card, so I don't know exactly what members see when they complete their order, but based on comments at Pissed Consumer, 419legal.org and the Complaints Board, most customers end up with a membership in Easy Saver. When I went to the Frequently Asked Questions page on the EasySaver Web site, I found out how consumers get caught up in the scam. In question 6 about "How do they enroll" EasySaver says, "EasySaver Rewards is only available to active ProFlowers customers. To enroll, ProFlowers customer are presented with the EasySaver Rewards opportunity while activating their ProFlowers membership, while navigating the ProFlowers website, or during the cancellation process. All new EasySaver Rewards members are offered a $10 off bonus offer when they enroll. To activate their EasySaver Rewards membership, ProFlowers customers are presented the offer to join, members simply provide their email address, zip code, and click "Yes" to authorize." So customers looking for a $10 off bonus at ProFlowers end up signing up for memberships in Easy Saver that will cost $14.95 per month. Talk about an expensive bait and switch. If these same consumers also signed up for free shipping, they could get stuck with a second charge of $11.97 per month from signing up for FreeShipping.com's "insiders Club. I did call Provide Commerce, who operates EasySaver/ProFlower, for a comment for this story, but they didn't return my phone call. Whether billing charges include postage and handling. While some Web sites may be following this rule, many are not or are putting the required information in very tiny print at the bottom of the page. If you think you've been a victim of negative option marketing, you can file a complaint with the FTC. Just remember, almost nothing is truly free. If you're offered something for free or you're offered a discount, be sure you know what that offer is truly going to cost you. Lita Epstein has written more than 25 books including "The Complete Idiot's Guide to Personal Bankruptcy" and "The Complete idiot's Guide to Improving Your Credit Score."